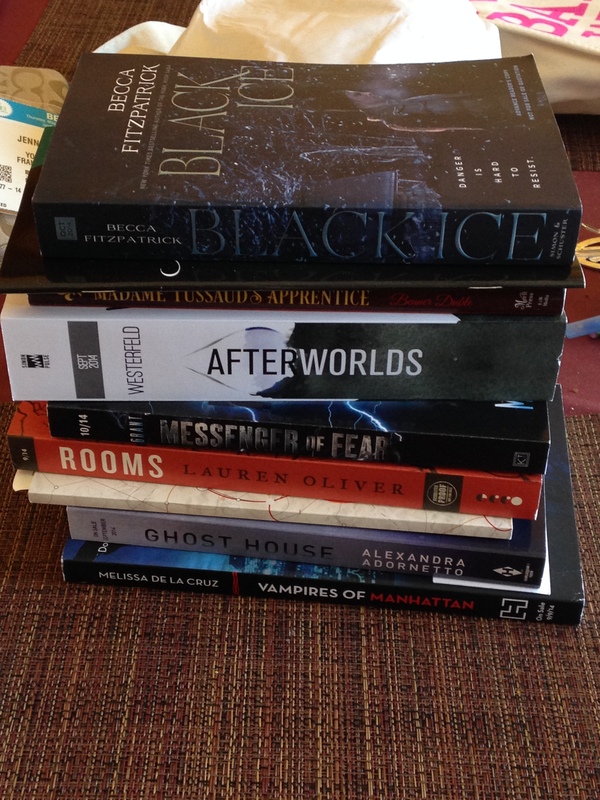 This past weekend I attended Book Expo America for the second time! I was so glad that I was able to make it because being eight months pregnant, I wasn’t sure it was in the cards this year. Fortunately, I’m having a really great pregnancy and not only was I able to attend BEA 2014, but I actually got some great exercise in from walking around NYC and the Javits Center! For those of you who have never attended BEA, let me assure you that your first year can be very overwhelming. The temptation to just pick up every book you see is so great that you end up nearly breaking your back trying to carry everything home. 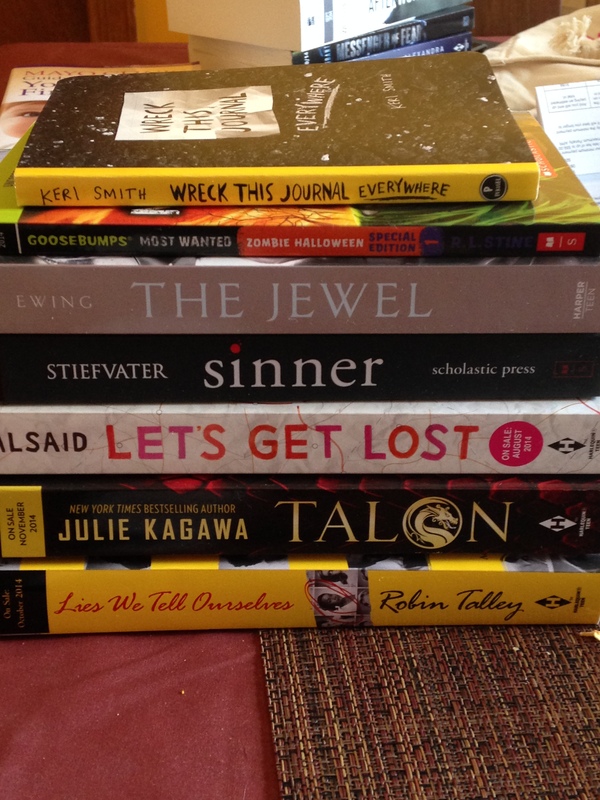 This year, being 32 weeks preggers, I knew that I had to be much more selective about the books I picked up. So, being the super book nerd that I am, I made myself a detailed (and color coded) schedule of which author signings I wanted to go to most. I’m so glad I did this because while I didn’t bring home as many books as last year, every single book I brought home is something that I really want to read! My first day I was lucky enough to get books signed by Lauren Oliver, Melissa de la Cruz, and Alexandra Adornetto. I’m really excited about Lauren Oliver’s book Rooms, because it is actually geared towards adults and is her first non-YA or middle grade book. My second day at BEA was a huge success! I was able to get in line to get a bunch of great ARCs from Harper Collins, and I got an ARC of Heir of Fire signed by Sarah J. Maas herself! I had to wait on line for TWO HOURS for Heir of Fire, but it was totally worth it! My baby girl will be here at the end of July and Heir of Fire doesn’t come out until September so I knew I would never get to read it if I wasn’t able to get it at BEA. This one is next on my TBR list, so keep an eye out for my review soon! My third and final day was CRAZY!! Last year at BEA on the final day they allowed consumers to come to the show as “Power Readers,” which was really cool because they got their own badges and were able to participate in the show even though they weren’t part of the book industry. This year, the people who run BEA changed the way they handled this and instead of having people come as “Power Readers,” they changed the last day to be BookCon. The problem with this was that they closed off only a small area of the Exhibit Hall and designated it as BookCon and people who only had tickets to BookCon were only allowed to stay in this area. The result? Thousands upon thousands of people concentrated in a small area, pushing and shoving each other like crazy. For a little pregnant lady like me, it was a bit scary. Also, my mom came with me on the final day and since she had a ticket to BookCon only, was not allowed to come into the rest of the Exhibit Hall with me and was not even allowed to go in the same entrance! 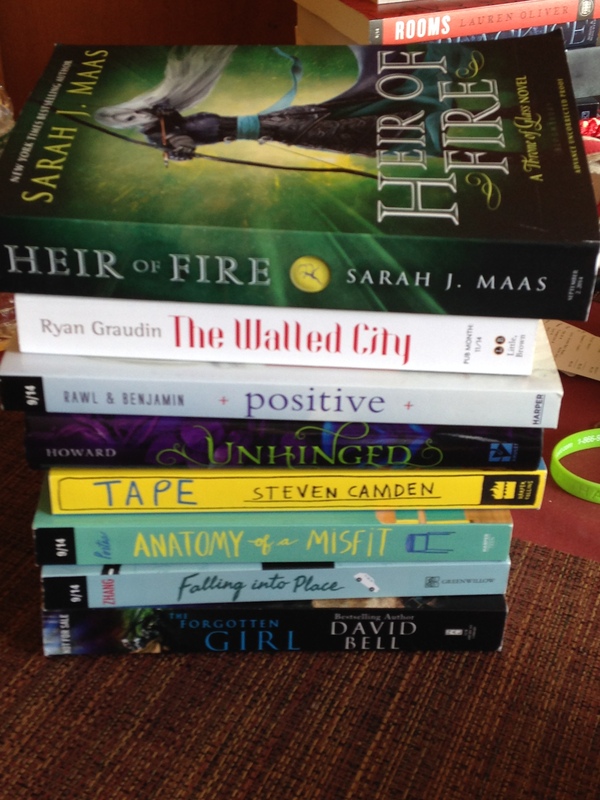 Even with the pandemonium that was BookCon, I still managed to have a great time on the final day. I stood in line for another almost two hours to get a copy of Sinner signed by Maggie Stiefvater (also worth it!) and was able to get a copy of Talon signed by Julie Kagawa as well. The amount of people at BookCon definitely made the lines super long–you literally had to get on line an hour and a half in advance for EVERYTHING–and the BEA only side of the Exhibit Hall was basically a ghost town, which I’m sure publishers on that side were kind of bummed about, but all in all I still had an amazing time and was so glad my mom was able to enjoy BookCon/BEA with me! One of the best parts of BEA this year was that my amazing pen pal and fellow blogger, Lisa Parkin over at Read.Breathe.Relax., was able to join me! Lisa and I have been pen pals for about two years now and have actually managed to meet in person a few times, but this was the most time we have been able to spend together and I’m so glad we were able to! We had such a great time, even waiting two hours in line for Heir of Fire, and I’m so grateful we were able to share two days at BEA together this year! Did any of you guys make it to BEA this year? Which Fall 2014 books are you most excited to read?